An all-in-one secure space to manage your publishing business. 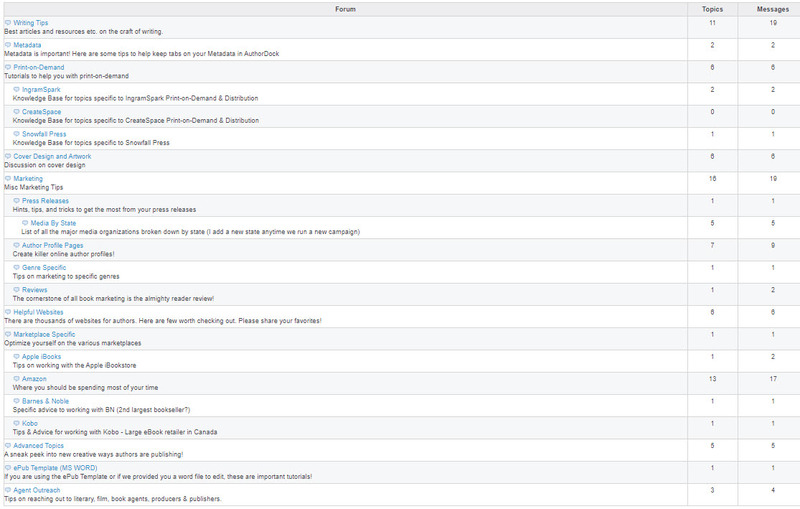 The purpose of AuthorDock is to turn ideas into projects and projects into actionable steps. The difference between a dream and a goal is a deadline. AuthorDock provides a structure to assign deadlines (and resources) to produce the outcomes necessary to achieve your goals. Ideas are turned into action when you take the first step in your action plan. Establishing best practices are the key to success, and building an effective ‘virtual’ team to implement your action plan is what drove me to create AuthorDock. Too many authors with great ideas never see them implemented because they fail to have everything they need in one place and available to the resources they assign. If you are looking for an online tool to build and implement your marketing plan, AuthorDock provides a secure workspace with many helpful tools. AuthorDock is tailored to the needs of publishers that facilitates quick access to the information you need when you need it. At the core is the punchlist, which facilitates turning ideas into action by making tasks accessible and assignable to the those who can complete them. Everything in AuthorDock is safe, secure, and backed up on a regular basis. The reality is that no successful author is an island. Many big name authors like Jack Canfield have entire teams of people helping keep their online profiles polished, up-to-date and active. 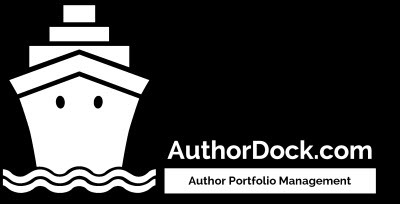 In 2015, we built and began testing AuthorDock for authors and publishers to help them manage and grow their online publishing business. While we originally built it for ourselves to deal with the growing amount of client work we had coming in (over 500 authors), our clients have found the benefit beyond our initial engagement with them. You can't see where you are going if you don't know where you've been. Keep a log of your progress with AuthorDock. Since 2010 I have been speaking at Writers’ conferences and teaching classes on self-publishing. Over the years, I’ve accumulated a wealth of recommended resources, tools, and success stories. One common thread I see is that the most successful publishers are always testing out new strategies. Your subscription includes access to the Answer Hub where I share the knowledge I have gained from the hundreds of clients I've worked with as well as material I have presented at conferences. To date, there are over 100 tutorials to assist you from every topic from writing to publishing to marketing, and everything in between! The world of digital publishing is an ever evolving universe. The advantage goes to the nimble authors who can act quickly. This is one of the aspects that makes AuthorDock especially unique and valuable; you will have access to an expanding rich database of extremely valuable information that I know you can use to move ahead of the competition. All the vital information that you need to refer to on a regular basis. Marketplace links, descriptions, keywords, categories, pricing, etc..
You can login anytime to add items to your plan and monitor progress. At your discretion, your team can have access to your project page as well, allowing them to quickly convey important updates. ‡ Recommended resources, tools, and success paths. The most successful publishers are always testing out new strategies. You'll be invited to join collaborative war rooms to connect with others who also publish in your genre. Tap into the collective wisdom and accelerate your success. The world of digital publishing is an ever evolving universe. The advantage goes to the nimble authors who can act quickly. This is one of the things that makes AuthorDock especially valuable; a rich database of extremely valuable (and timely) information that you will find helpful in moving ahead of the competition.